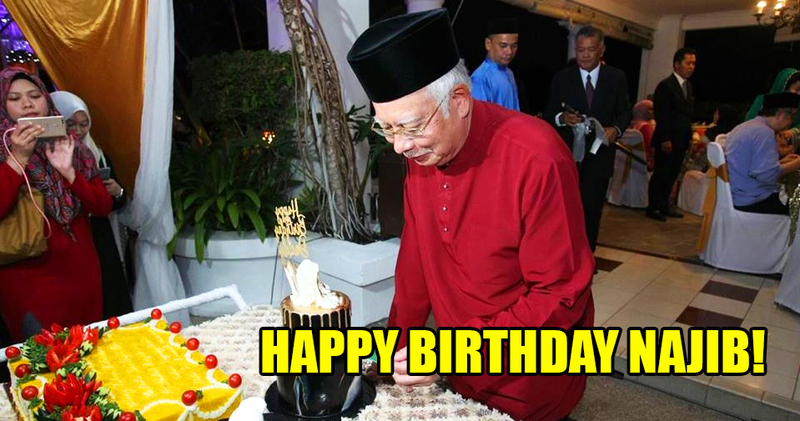 It’s Datuk Seri Najib Tun Razak’s birthday today! 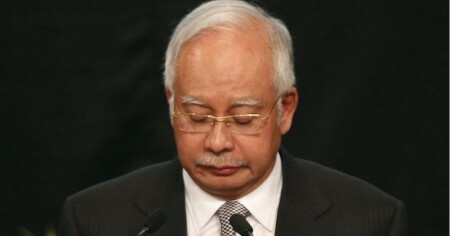 The former prime minister just turned 65 years old and has certainly been through a lot in the past few months. Despite that, he has always managed to put up a bold front whenever he faces the authorities and is always seen smiling from ear-to-ear as he waves to reporters. So much has happened that it’s quite hard to keep up as the Pakatan Harapan government is working really fast in initiating investigations and are discovering new things every day. 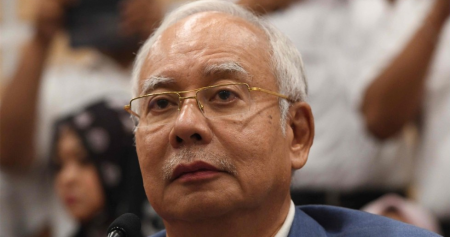 Almost immediately after Barisan Nasional lost in the 14th general elections, Najib attempted to take a trip to Jakarta, Indonesia but found out that he was blacklisted and prevented from leaving the country. Aiya, the international holiday will have to wait. Not long after that, Najib stepped down as Umno leader after some Umno Youth Chiefs wanted him to quit. 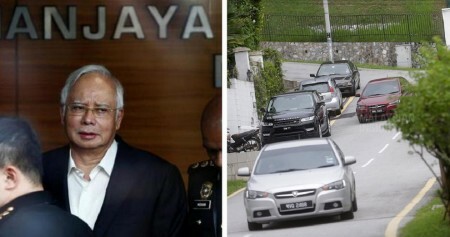 Once the Pakatan Harapan government was up and running, investigations commenced, which included the first raid of the former prime minister’s personal residences. 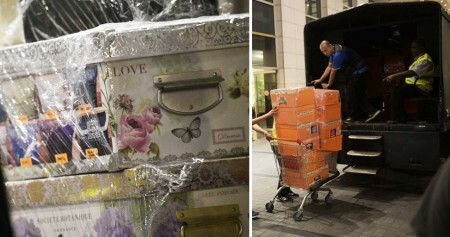 During the raid, police seized such a bountiful amount of items from several of his luxury residences, that they needed five huge trucks to carry them away. It was a long process! Among those items were stacks of cash packed away in many luggage bags. When the police finished counting them, they revealed the total amount, which certainly shocked the nation! 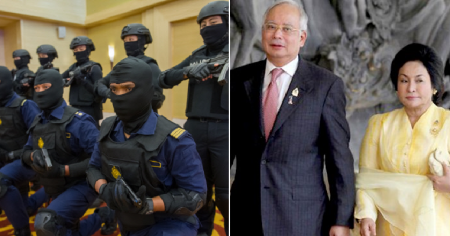 In the midst of all these raids, Najib remained calm and cooperated with the police. However, he was very upset that some of his chocolates got stolen from his refrigerator. 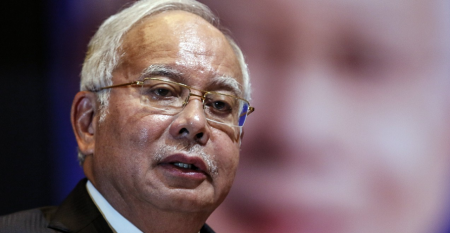 Just two weeks in after GE14, Najib was called into the Malaysian Anti-Corruption Commission headquarters for questioning regarding the 1Malaysia Development Berhad (1MDB) investigations. At least he still seemed happy! 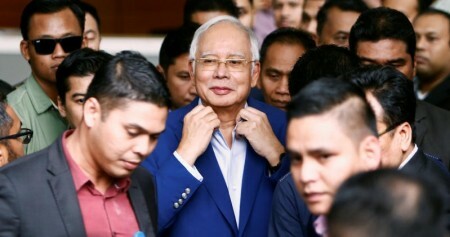 Not long after that, Najib’s bodyguards and police escorts were taken away from him due to 1MDB investigations, and even his own lawyers decided not to represent him anymore. 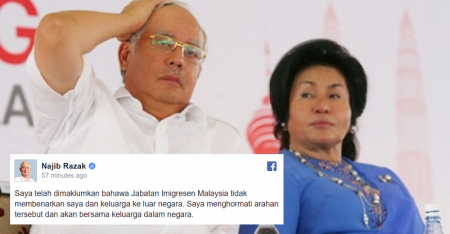 On July 3, Najib was taken by the authorities and brought to the high court where he faced four charges. 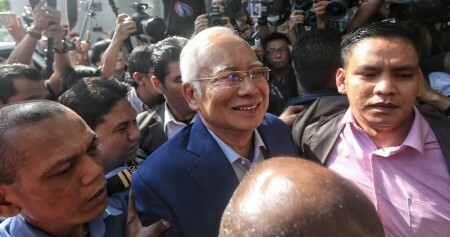 According to Najib’s lawyer, the bail amount set by the Attorney-General at RM4 million was too high (it was later reduced to RM1 million), so Najib’s supporters started collecting funds for him. What an eventful series of situations in just a short period! 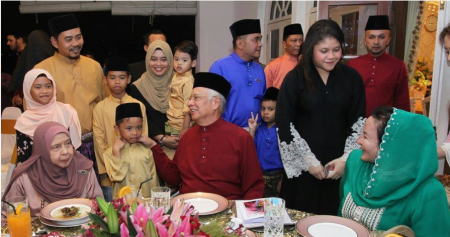 We wish our former prime minister Najib many good returns of the day and we hope he has a great time with his friends and family on this special day. So much has already happened, but we’re keeping our eyes peeled for more to come. So, stay tuned to WORLD OF BUZZ for the latest updates! You wouldn’t want to miss out on anything!